We try to utilize the latest dental technology, and with it, we are able to provide higher quality care in less time, all while increasing patient comfort. It is a win-win-win! 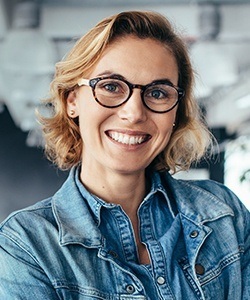 If you’re ready to see for yourself, give us a call today to schedule an appointment in our dental office serving Assonet, Freetown, and surrounding communities. 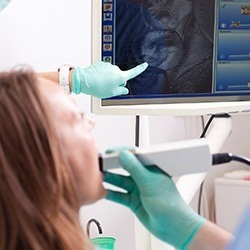 We use our intraoral camera to take some of the mystery out of dental care. Now, instead of just telling you about what we see in your mouth, we can show you! We can capture close-up, high-resolution images of your teeth and gums that we can display on a monitor right in the treatment room. These can serve as excellent visual aids when explaining the state of your dental health and why you might need a certain treatment, ensuring that you and Dr. Cornetta are always on the same page. X-rays enable us to find and diagnose many dental problems as early as possible, often before they are even visible to the naked eye. 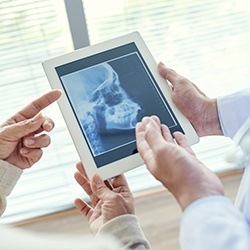 We’ve upgraded to only using digital X-rays because, compared to traditional ones, they are much faster, capture more detail, and they emit less radiation—up to 90% LESS. Plus, we can instantly show you these X-rays and manipulate the images to make them easier to understand. Impressions are needed for a wide array of treatments, from crowns to veneers to Invisalign and much more. However, creating them the traditional way with dental putty is a rather unpleasant experience for patients, which is why we now only use a digital impression system. 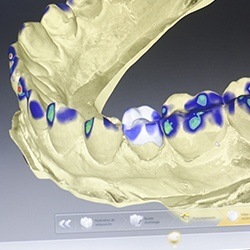 In just minutes our intra-oral scanner can generate a highly-detailed impression of the teeth that is much more accurate than a traditional physical impression. That’s right, lasers aren’t just science fiction anymore! 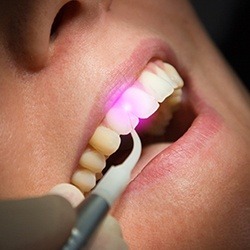 With our soft tissue laser, we can quickly and comfortably treat the gums. Our laser can painlessly eliminate harmful gum disease bacteria, remove infected tissue, and even give someone a cosmetic gum lift. Treatment with the laser is so gentle that most patients don’t even need local anesthesia to stay relaxed the entire time.